The Punisher Release Date Leaked | Nerd Much? "The Punisher will be on Netflix from 13 October." 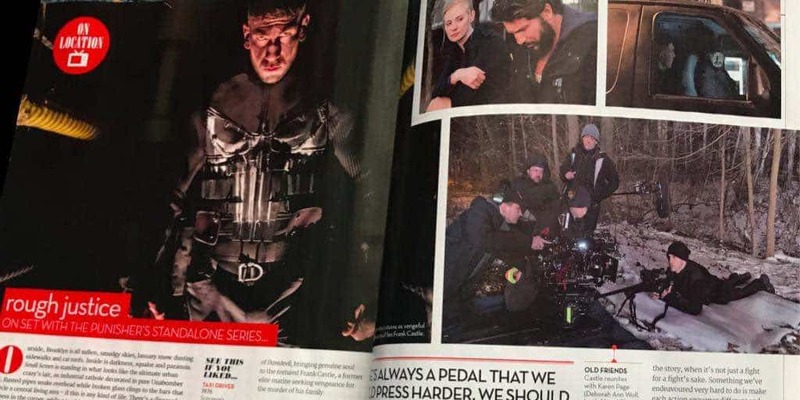 According to a Reddit post, with a couple of very convincing photos, the latest issue of Total Film reveals the launch date for The Punisher. The UK magazine has a feature on the show, including a few plot details, and a short interview with star Jon Bernthal, who talks about his role as Frank Castle and the intensity of it. Most importantly, however, is at the end of the article, which states “The Punisher will be on Netflix from 13 October.” The grammatical error makes me wonder if the date is nothing more than typo. Which happens far too often in any written work, so it’s entirely possible that even such an official magazine as Total Film someone just didn’t see it in time. There has been no official release date yet, though it has been the running theory that The Punisher will just suddenly pop up on Netflix without any preamble. We thought that was going to happen sometime in November, but this date is much earlier than that. Two weeks, to be precise. 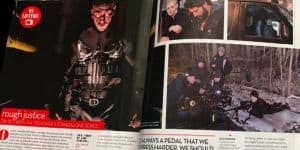 That said, executive producer Steve Lightfoot is quoted in Total Film to remark that the violence of The Punisher won’t be the pointless kind. He states that “action works best when it’s part of the story, when it’s not just a fight for a fight’s sake.” Apparently they want to make sure that each combat scene if purposeful to the story arc of the episode it features in. This is certainly a deviation from other depictions of The Punisher on film. Others have stumbled and slipped on blood-covered floors in favor of gore over plot or character development. The latter of which I look forward to seeing in regards to Frank Castle, who is too often shown as a blank slate with no more personality than revenge. No emotion whatsoever, not even regret or satisfaction once the deed is done.